I saw a wonderful piece of news today about people using social media for good. Take a look at this story about a demonstration of Israeli-Iranian solidarity – started online by ordinary people – that has really taken off. It has warmed the very cockles of my heart, and provided a very useful reminder that behind almost every news story – good and bad – there are ‘ordinary people’. Every conflict, every crime, and every Government Bill has an impact on folk that more often than not are just like you and me. 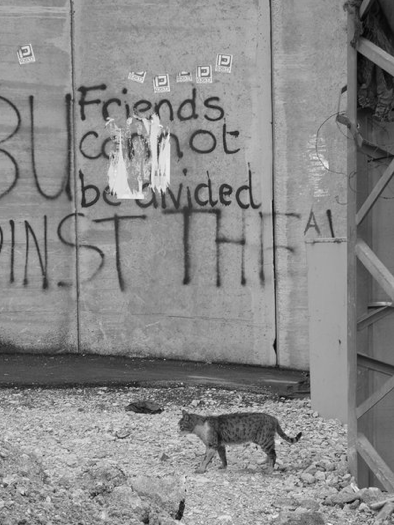 I haven’t blogged about this before, but a few years ago I was lucky enough to visit the West Bank – part of the occupied Palestinian Territories. At the time, I was President of my Students’ Association, and the student body had voted to twin our university – Edinburgh – with the University of Birzeit near Ramallah. There were many goals that the students at Edinburgh hoped to achieve through the twinning – everything from delegate visits and exchange programs, to film screenings and awareness raising events on campus – but they all focused on a particular issue – the Right to Education. The right to education is a fundamental human right under the terms of the UN Declaration on Human Rights – and the motion that was passed by the Edinburgh students put forward the opinion that students at Birzeit University were being denied that right. So. Anyway. In April 2005, along with three other elected student representatives from Edinburgh, I found myself sitting on a flight to Tel Aviv. 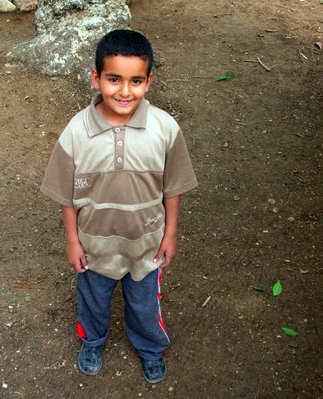 Once we’d cleared immigration – no easy feat – a driver would meet us and drive us to Ramallah. We were due to spend a few nights on our own there, before moving to Birzeit where we would spend a couple of days staying with Birzeit students in their own accommodation. We were all as nervous as hell. We had all been strongly discouraged from making the trip. My parents didn’t think this was a great idea. The University didn’t think it was a great idea. And my boyfriend (now my husband) didn’t think it was a great idea either. When our jeep pulled up outside an apartment building in Ramallah and we were standing waiting to get into the building – without our bags, which hadn’t kept up with us – two guys with machine guns slung over their shoulders wandered up to see what was going on. What were we doing there? Suddenly we weren’t so sure if this trip was a good idea either. But it was. It was one of the most mind-opening, challenging, memorable and truly wonderful trips I’ve ever taken. Like my time in the Arctic, it was one of those real once in a lifetime moments. The two trips happened within weeks of each other, so maybe that is me used up all my adventures for one lifetime. But I hope not. It is easy to make sense of the situation in the Occupied Territories when you think about it in vague political terms and read about it in the papers over breakfast – as I had previously. It is easy to get angry with governments, and blame one side for this action, and this side for another action. But it is less easy to make sense of when you speak to a teenage girl who has not seen her family for three years, or a second year boy whose house was demolished to make way for a settlement, or a final year student who missed an exam because they were detained for so long at an Israeli checkpoint. As a student President, I had spent a lot of time lobbying for better ‘access’ to education – meaning that in Scotland there were still a lot of financial barriers to people who wanted to go to university, that I thought should be lifted. But I had my eyes opened. 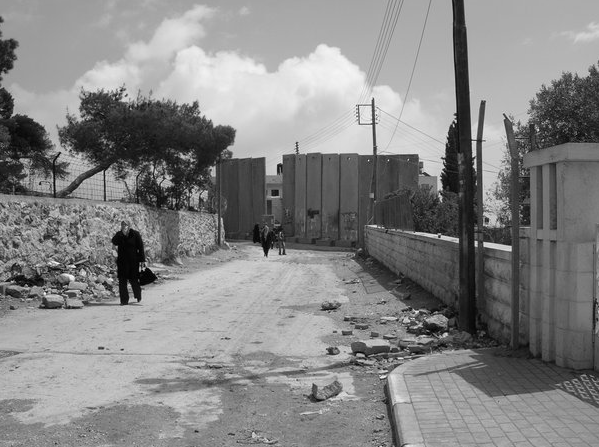 For students at Birzeit, ‘access’ didn’t just mean overcoming financial hurdles in order to enter higher education. It meant overcoming physical barriers too; students making their way through military roadblocks and checkpoints every day in order to attend lectures; taking eight years to complete their degree instead of four because the university was forced to shut down so regularly by the occupying forces; and active student council members facing the threat of imprisonment or deportation without trial. I heard stories that made me cry. And I saw things that shocked me. It’s now more than five years since I spent time in the West Bank, but I still don’t think I have fully processed it all. Every now and then a memory comes back to me – a person or an anecdote – and I find myself chewing it over all day. I was humbled by how seriously the students at Birzeit took their education. As a fourth year arts student, I had grumbled about my six hours of lectures a week. But the people I spoke to were clamoring for more lectures and tutorials, often while trying to hold down a job too. They said again and again that they believed education is the only way to improve the situation in the occupied territories. They wanted to go abroad – to Europe or America – for postgraduate study, and then come back to use their skills and knowledge to help end the occupation. When the students at Edinburgh voted to twin I think that some of them assumed, rather naively, that Birzeit would have a lot to learn from them. In actual fact it was the other way round. The Student Council in Birzeit conduct their elections under the banner “a model for Palestinian democracy”. They achieve voter turnout of 70% (pretty impressive compared to the 5-10% that is standard in British universities). The majority of Palestinian political leaders are former members of Birzeit Student Council. Their student population is more than 50% female. Every single person we met was able to quote the Universal Declaration of Human Rights. When the university is struggling financially, all the staff work for half-salary to enable the students to continue their education. When the University is subject to closure they hold lectures on the streets, beside the roadblocks, to prove a point. The roadblocks. I guess that is another thing I – stupidly – hadn’t realized before I visited the area. 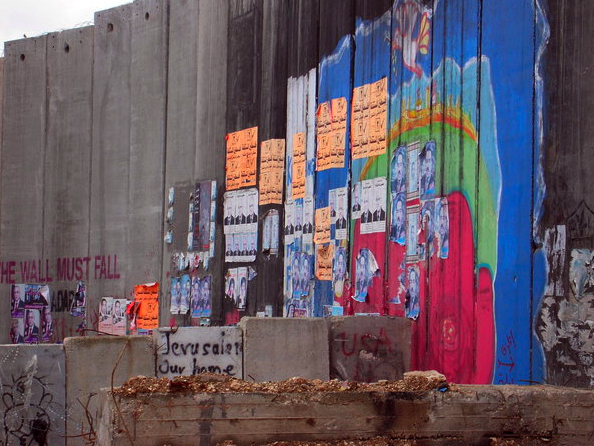 Just how very physical, how visceral, the occupation is. I was there for less than a fortnight, but I still remember how it felt to stand in line in blazing sun at a military checkpoint, waiting to be questioned, to have my bag searched, to have a gun thrust in my face for no real reason. And I cannot forget the wall. The ugly, awful separation wall, that winds its way through communities – sometimes through gardens – separating families and friends, forcing people to take three hour trips through the nearest checkpoints instead of just hopping across the road. I am a very visual person. I love to take photos. Pictures always trigger memories for me. So one of the things I am incredibly sad about is that during one of my house moves, I have lost the CD with all my pictures from the West Bank. The only ones I still have are the half dozen or so that break up this blog post, which I had uploaded to Facebook. But the rest of them are gone. So there are probably a lot of things I have forgotten about the trip. But there is a lot I remember too. It was not a holiday by any means but, in the same way that you do after a holiday I had a lot of high points, low points, funny moments and snapshots in my head. How friendly people were. How welcome they made us feel. How good it felt to sit down and share falafel and hummus and shisha with people who wanted to talk and tell us their stories. How vibrant and noisy and colourful the main square in Ramallah is. How beautiful the call to prayer sounds early in the morning. How much I loved the taste of fresh mango juice. How kind our student hosts were. My roommate Hiba would keep me awake because she’d sit up all night watching American sitcoms on her crackly old TV. As well as studying for her degree, she worked part time in the Birzeit university press office and part time as a DJ on a local radio station. She gave me handfuls of BBC Arabic wristbands to take away with me. One night she took us to visit some male friends in their accommodation – MASSIVELY forbidden – because they had got hold of a DVD of some new film she wanted to see. Hiba and I sat down on the bed in the boys’ bedroom and one of the legs gave way. The bed snapped in half. We ended up on the floor. We giggled – hysterically and in shock. The boys looked even more horrified than we did. I was already imagining terrible headlines about what happened when the Scottish students came to Birzeit… but somehow it all got fixed and no more was said. We went to Ina’ash Al-Usra – a centre for the education and empowerment of women. We learnt that perception and perspective is everything – even though we knew Hamas as a terrorist organization, in the West Bank they were better know for building roads, and schools, and hospitals. We visited Al Najah University in Nablus, where my female guide tactfully said, “It’ll be cool in the university grounds, you should cover your arms,” before wrapping her own scarf around me. And then we walked around the city of Nablus, struck silent by the number of bullet holes in the walls. “This is a nice place,” said our guide, Yasser. “Peaceful today. 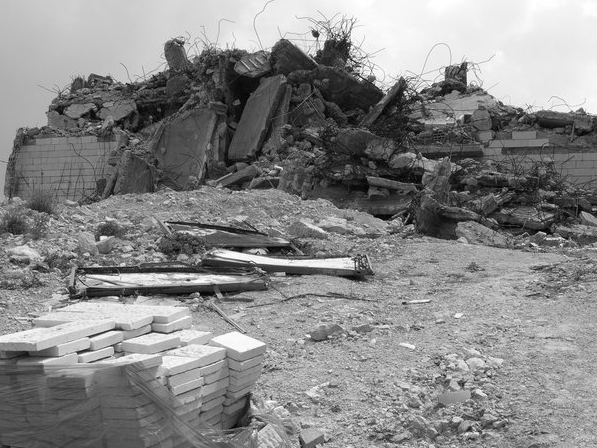 But if I say go, then we go right away, no arguing.” We went on a long, sad, and shocking tour with ICAHD, where we saw the startling contrast between demolished Palestinian houses and new Israeli settlements. We saw the motorways that we could drive on if we had Israeli number plates on our car, and the dirt tracks we were confined to if we didn’t. We visited places that I’d previously only read about in the bible. Jerusalem, where we squeezed our way through the narrow streets lined with market stalls and people selling posters of Yasser Arafat. 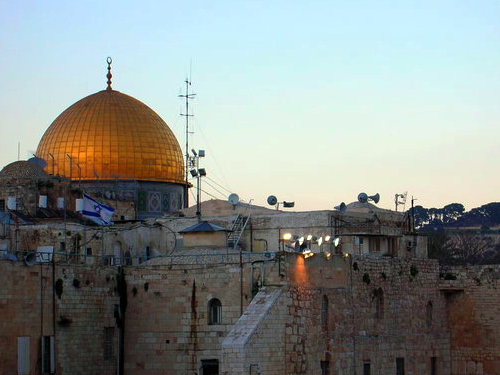 Where we visited the Wailing Wall, and tried to visit the al-Aqsa mosque but were turned away. Where we drank vast quantities of mint tea, and bought lots of souvenir cups and saucers, which were then confiscated from us at the airport on the way home because they had ‘Palestine’ written on the bottom of them. Bethlehem, where we visited numerous churches before we sat in the market place to eat yet more pitta and falafel, and I found myself weeping for no reason that I could articulate. Where we stumbled upon an exhibition of kids posters – primary school kids – and they’d all been asked to design an image based on the UN Declaration of Human Rights. (The photos I lost, from that exhibition, are the ones I regret losing the most). Jericho, where there were wooden barrels in the streets, piled high with oranges. Where we drove past Bedouin camps. Where kids played in gardens, and then ran and asked us for chewing gum when they saw us walking by. Where we got a rickety old cable car up to visit an old monastery carved into to the mountains – The Monastery of Temptation – where if you believe these things, Jesus himself spent forty days and forty nights fasting. That is the jumble in my head. That is all the things that I’m still making sense of. And I was only there for ten days. I came back so angry. I didn’t know how to begin talking about it. I was so convinced that the situation was wrong, but I was also also sure that if it was that simple, then surely something would have been done about it. I wrote to my MP, and to my MSP. 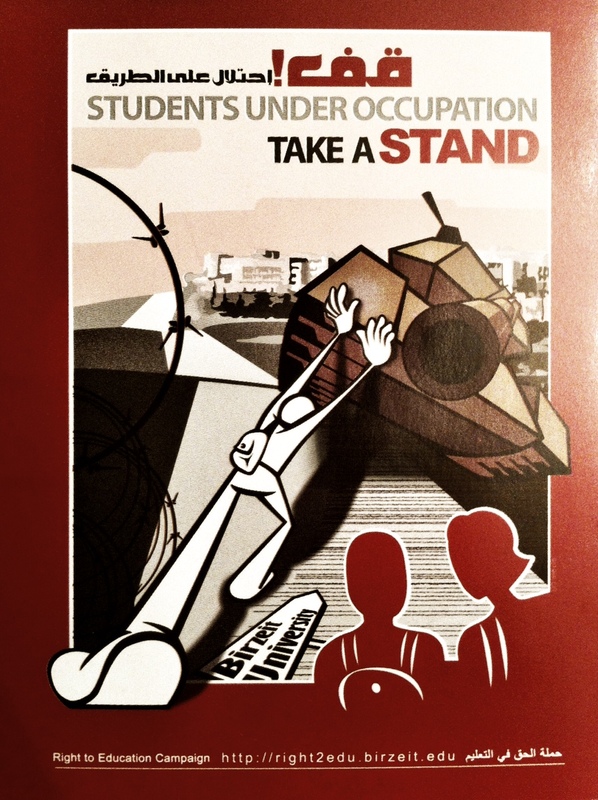 I wrote articles for my student magazine and my local newspaper that used the phrase ‘Israeli apartheid’. Was that helpful? Probably not. Did it achieve anything? No. Did I feel like it was an accurate representataion of what I’d seen? Absolutely. I haven’t seen that other side yet. I would like to, I think. I have, engrained in me now, a pro-Palestinian bias, but I would try, very hard, to be open-minded. Stories like the one I started this post with help me with that. That sort of sums it up for me. Palestinians are just people. Some of them wear blue. Some of them have hotmail accounts. And some of them don’t say very much. It seems ridiculous that five years on, that’s the best that I can come up with. ‘They’re just people.’ It’s not much of a conclusion, is it? But I think we forget that sometimes. I think – whatever conflict you are talking about – it’s easy to get caught up in newspaper headlines and UN conferences and good guys and bad guys. That wee story that I started out with – some guy, sitting at home on his computer in Israel and thinking ‘You know what, I know there are normal people in Iran like me. People that just want to learn and love and live. People that don’t want to fight. Why don’t I try and talk to them.’ – that story spoke to me. That’s what the world comes down to. That’s what I believe in. Wow! What an incredibly thoughtful and thought-provoking post. I think when we see stuff on the news we don’t think too hard about the individual stories because it is too painful to contemplate – easier to whitewash it all as someone else’s problem, and ‘politics.’ I hope you get your trip to see the other side, because I would love to hear it from your point of view – just as I have this one. It gives me hope, actually, that there can be a solution in the future, as well as despair at how awful it really is. This is a great post. I love the photos and felt totally transported by your telling of your experience. Like you I don’t know enough about the conflict but I find it difficult to see the other side. It’s so easy to get caught up in an intellectual debate and forget that what we’re talking about is real things happening to real people. It also makes me incredibly grateful to have had the access to education that I’ve had. Great post Ruth, very evocative – and I think the conclusion is actually very good. It’s hard to think about conflict in terms of individual stories because it gets quite emotional and difficult, but I think that’s a worthwhile thing. There’s a novel in this, if you can find the time for it… (but then I would say that ;p). Well done for posting this. Glad you wrote down your thoughts. Wow, what an experience, and an incredibly emotive post. As a fellow person-who-likes-to-remember-through-photographs, I really feel for you losing your images. What a brilliant post. So nice to see a story from a different perspective. It is incredibly emotive too. I imagine it was a very emotional trip.